Michael Napolitano, PTA earned his Bachelor of Science in Kinesiology and Human Movement from Louisiana State University in 2011 and earned his Associate’s Degree in Physical Therapy from Our Lady of the Lake College in Baton Rouge in 2015. 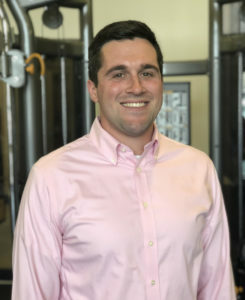 In his role as Physical Therapist Assistant, Napolitano works directly with the physical therapists to help clients and athletes improve mobility and motion, whether to enhance daily function or advance sports performance. He is certified in LSVT BIG Therapy for the treatment of Parkinson’s patients. An avid soccer fan, Napolitano spends his free time playing soccer in a City Park recreational league and participates in many of the New Orleans Track Club races. He is a Kenner native who resides in New Orleans with his wife.